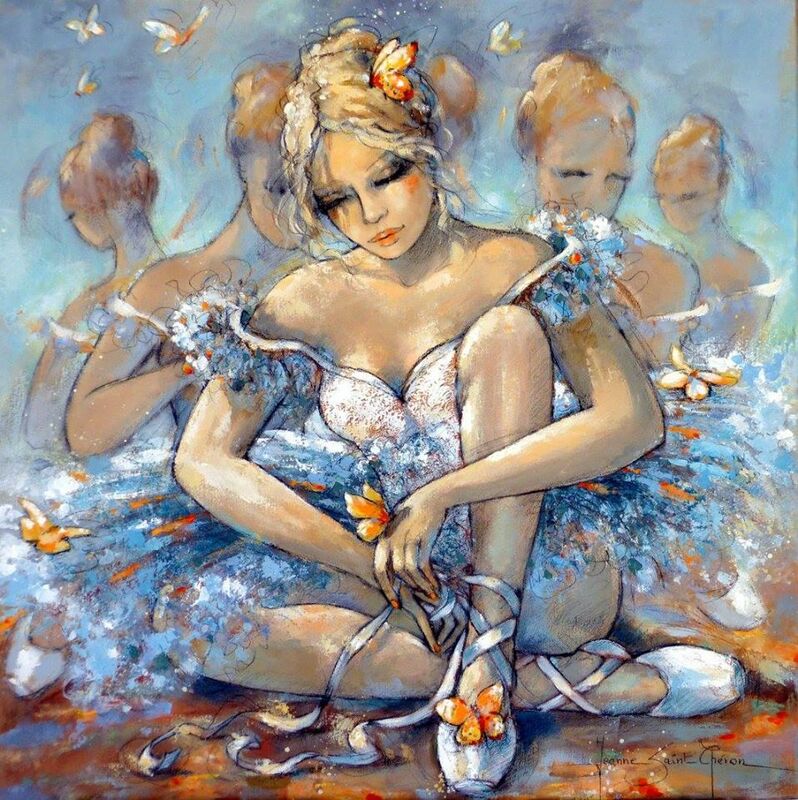 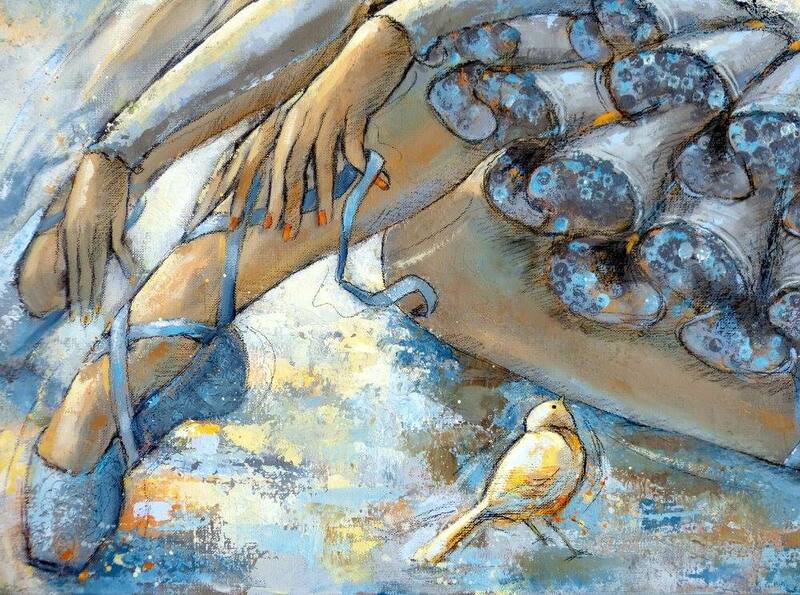 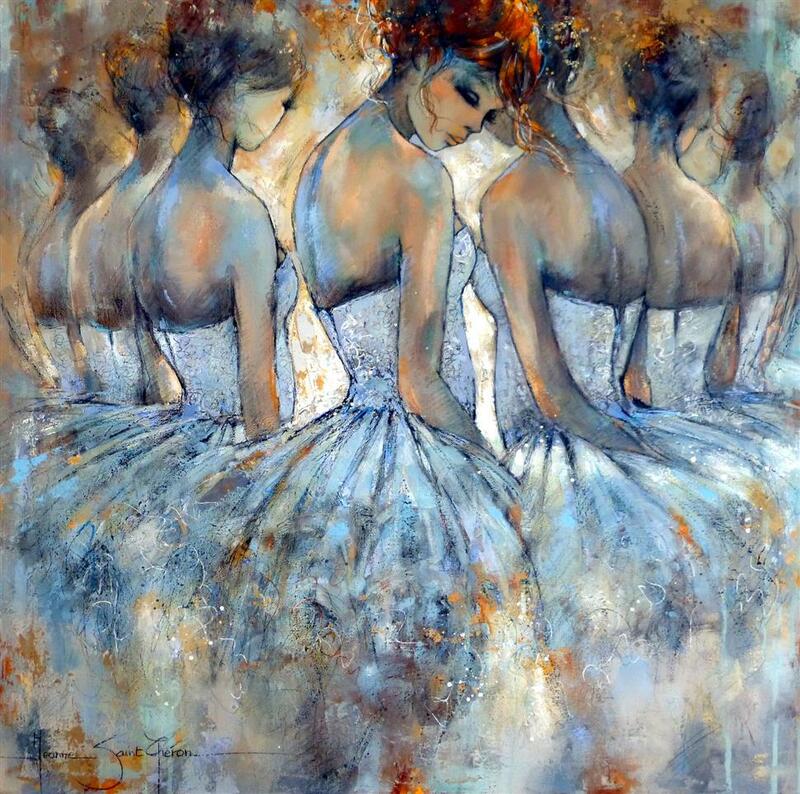 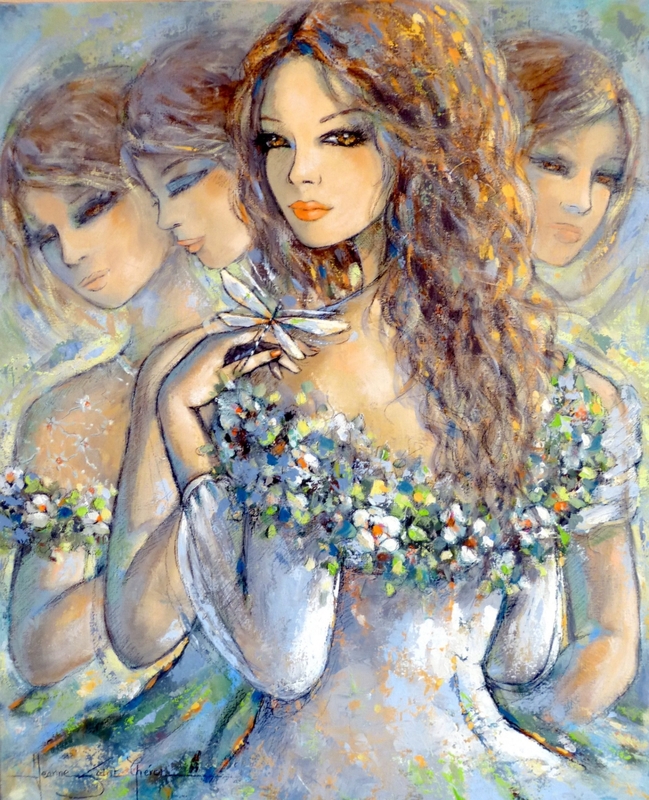 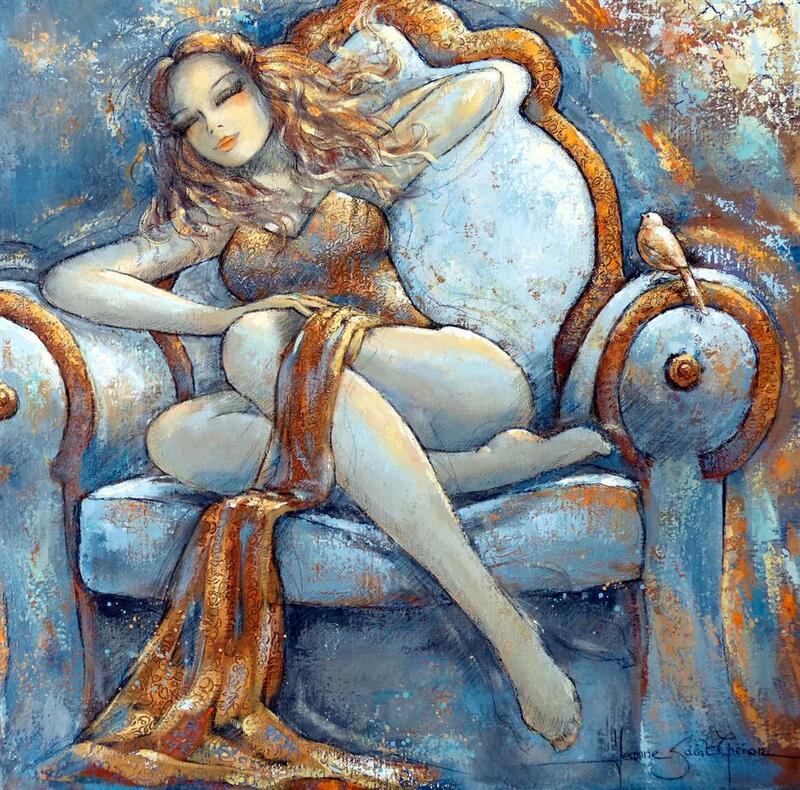 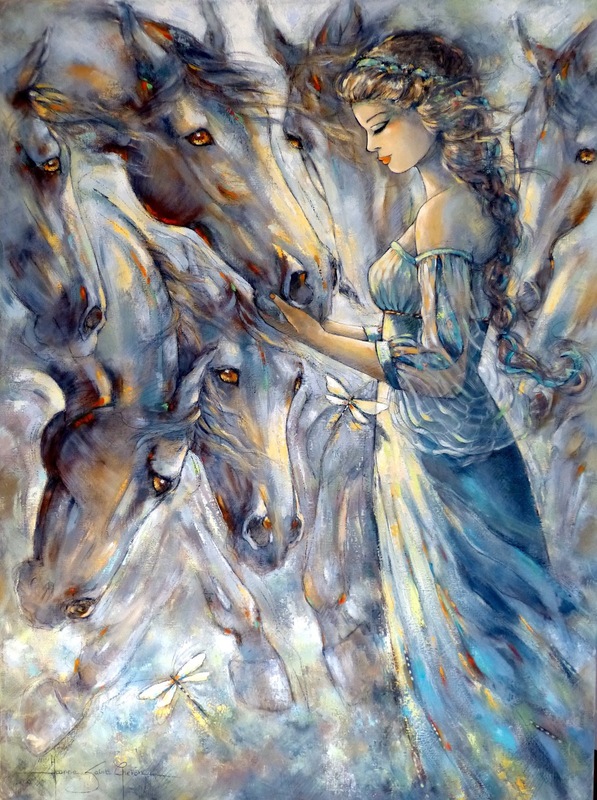 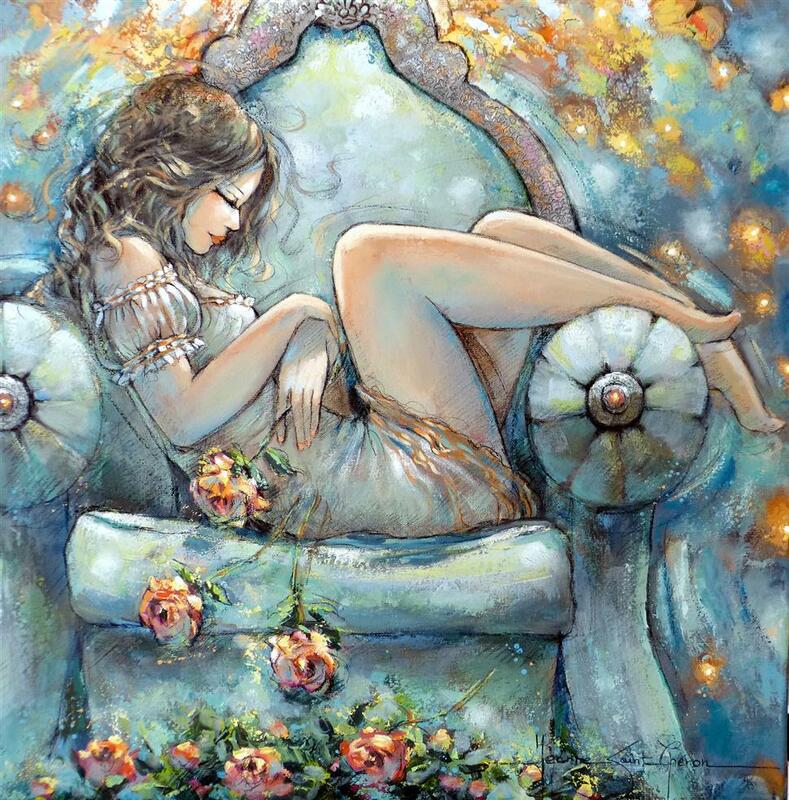 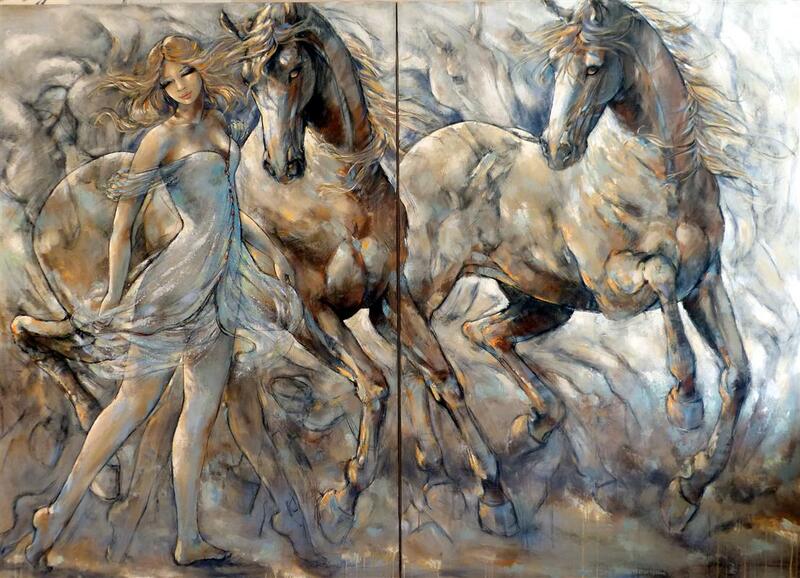 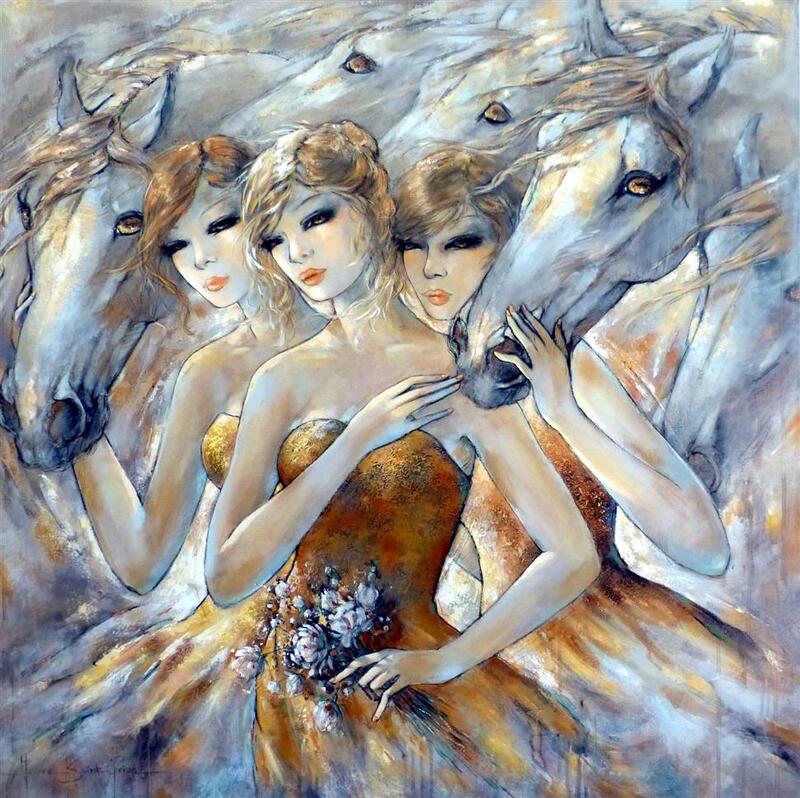 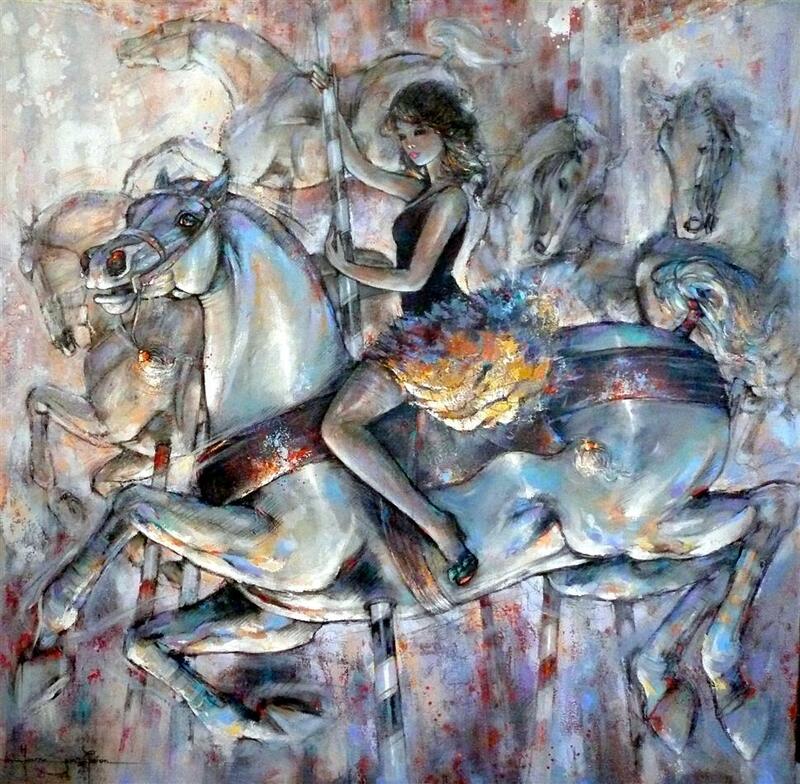 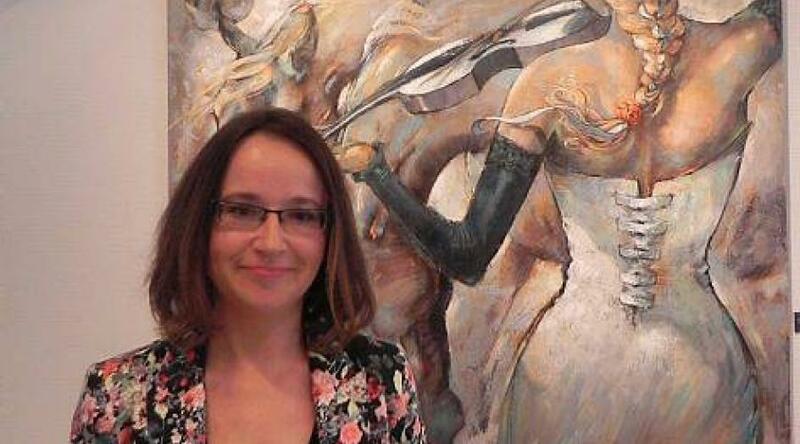 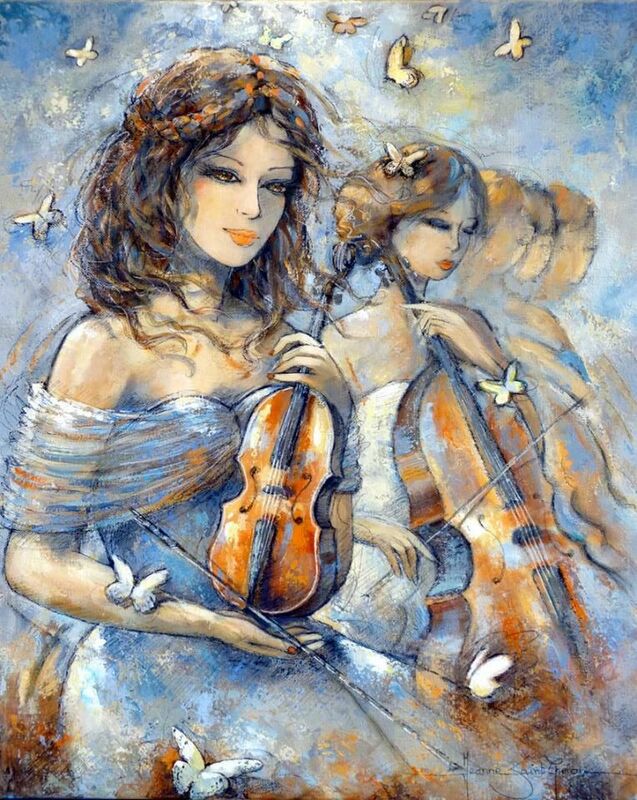 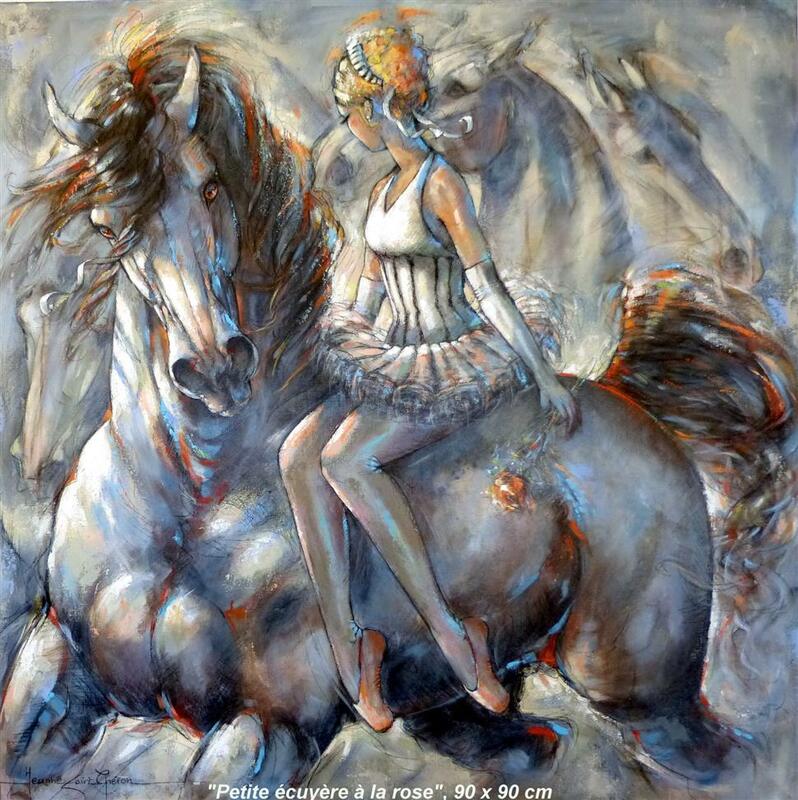 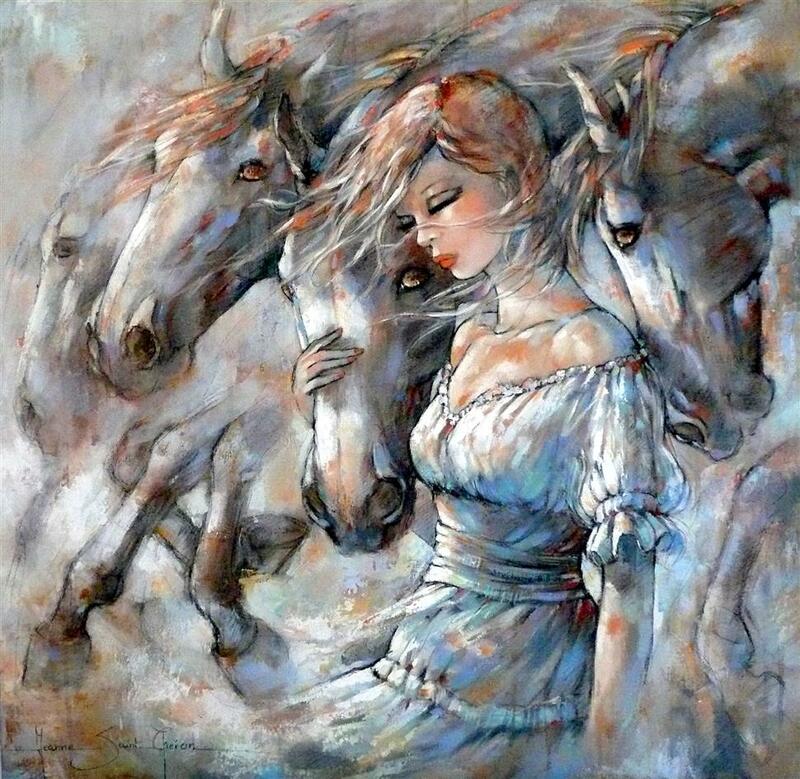 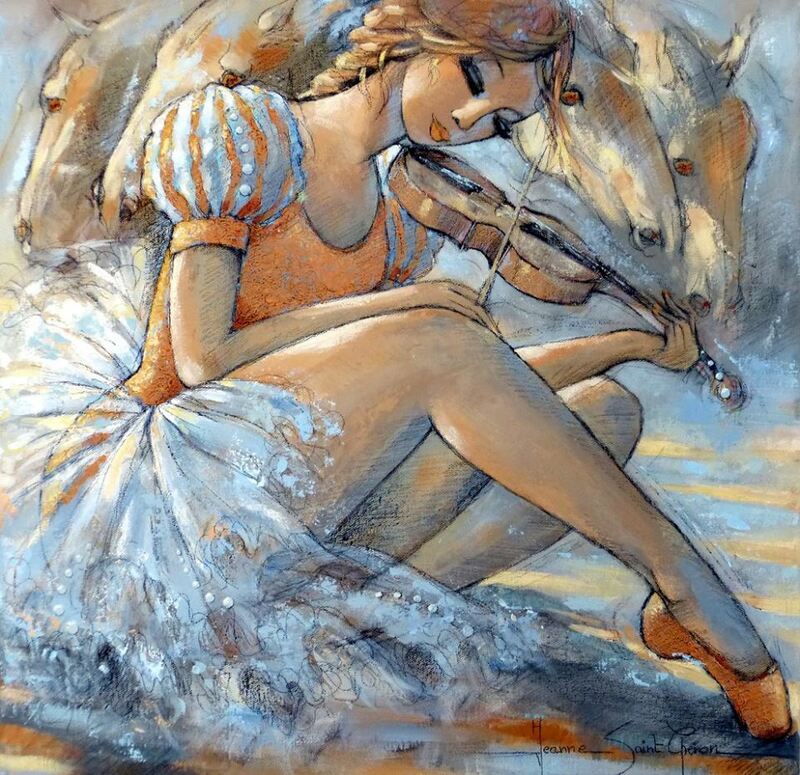 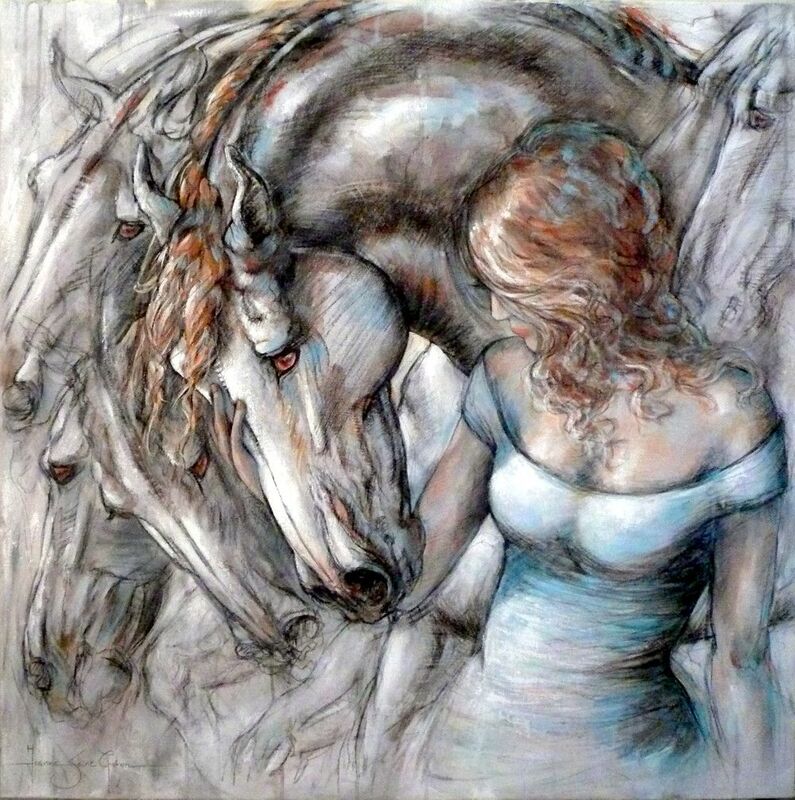 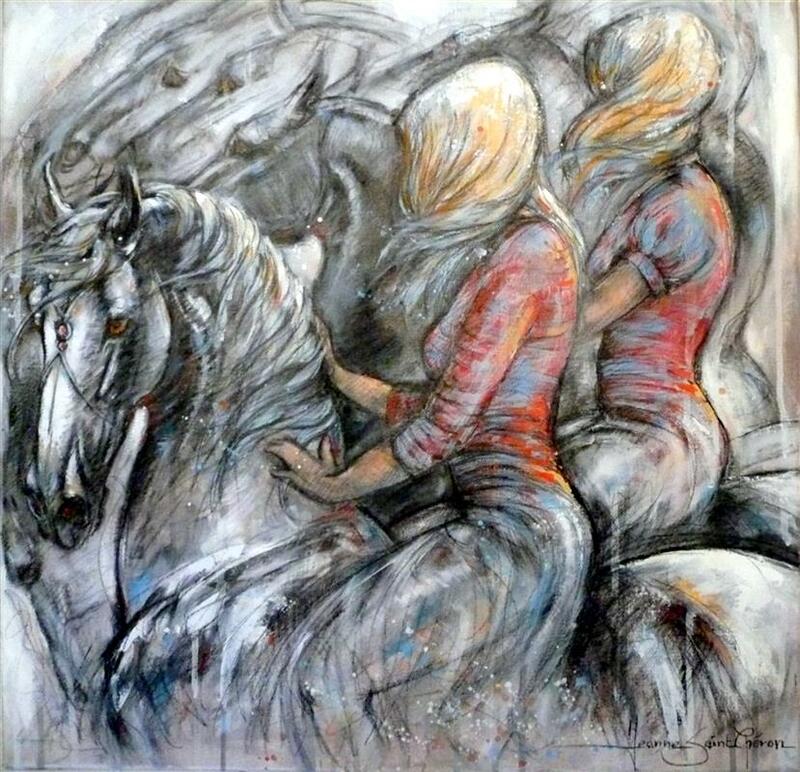 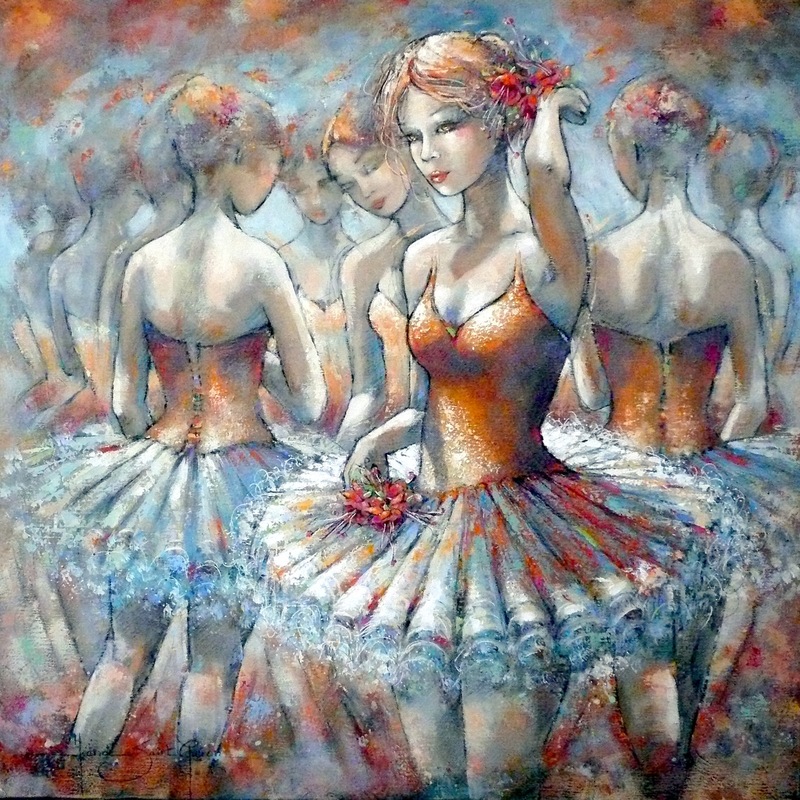 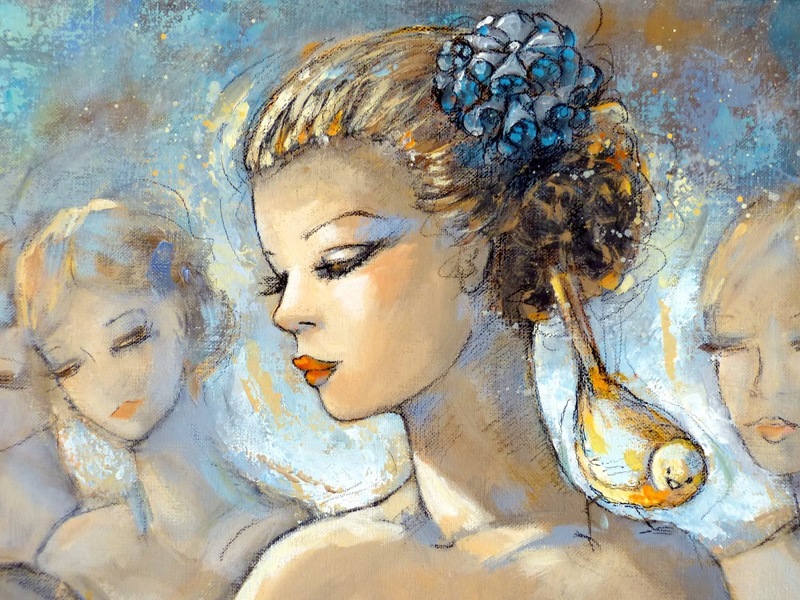 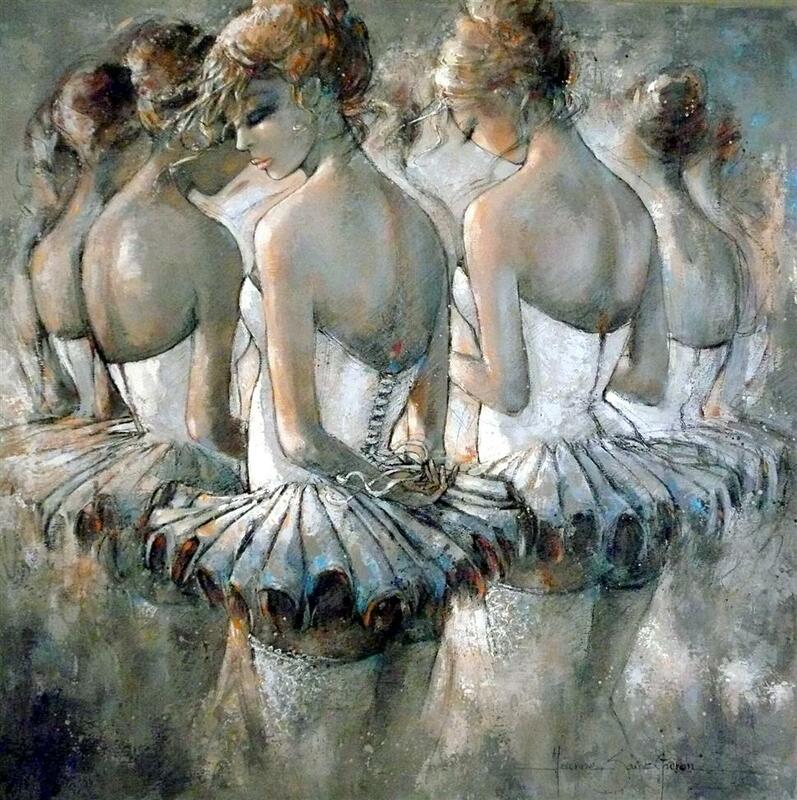 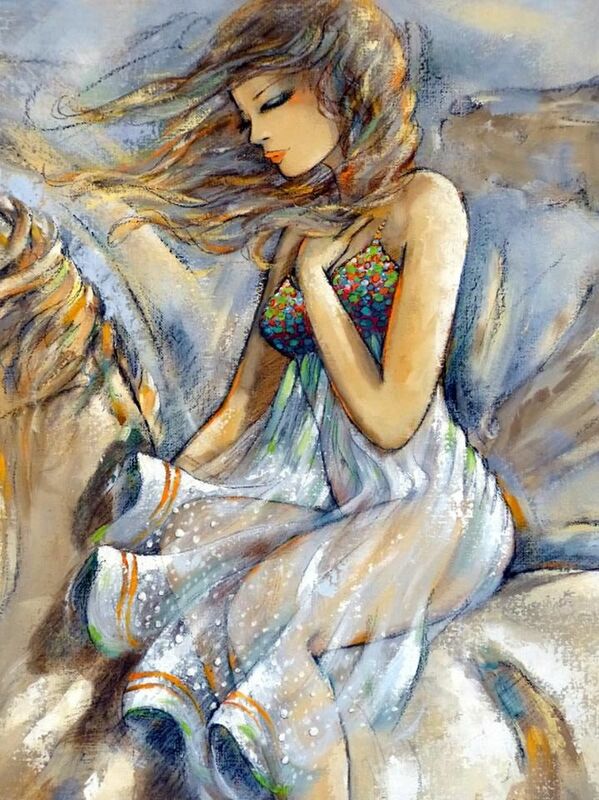 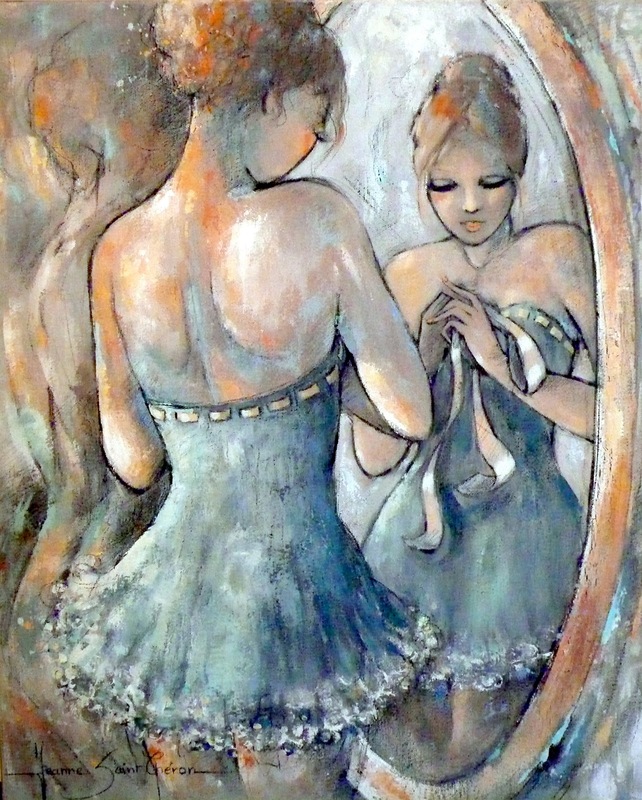 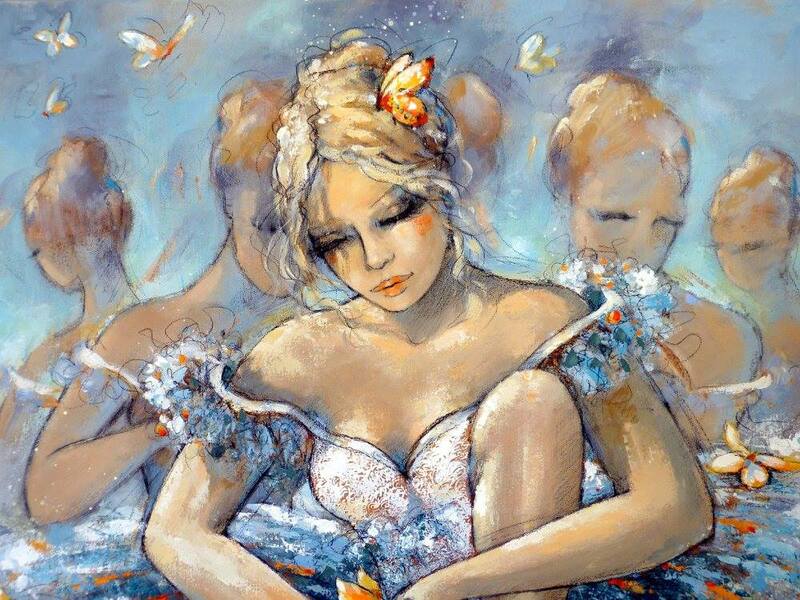 Born in Laval Loire Valley, Jeanne Saint-Chéron has been successful for over fifteen years. 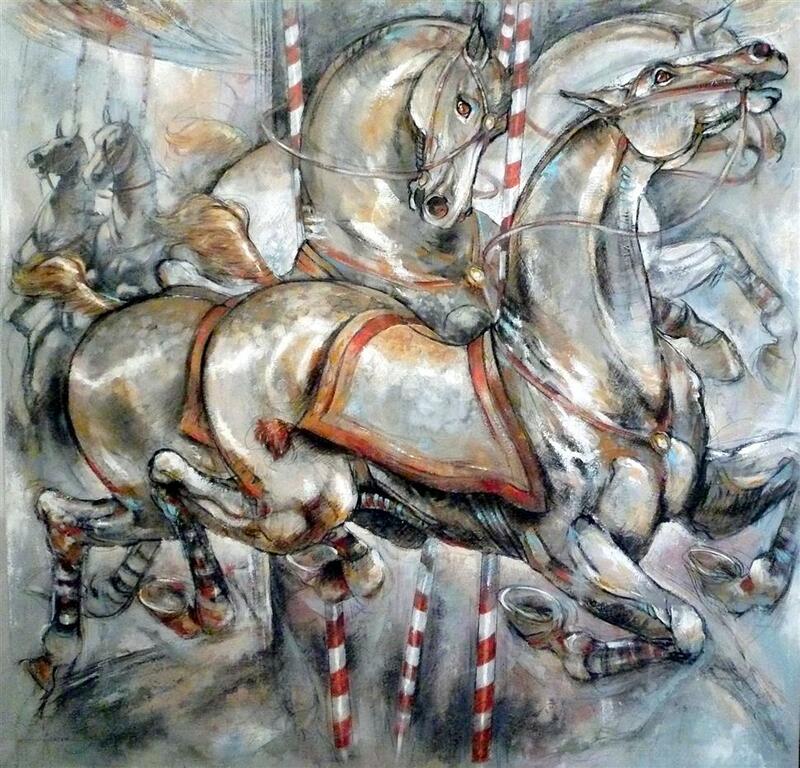 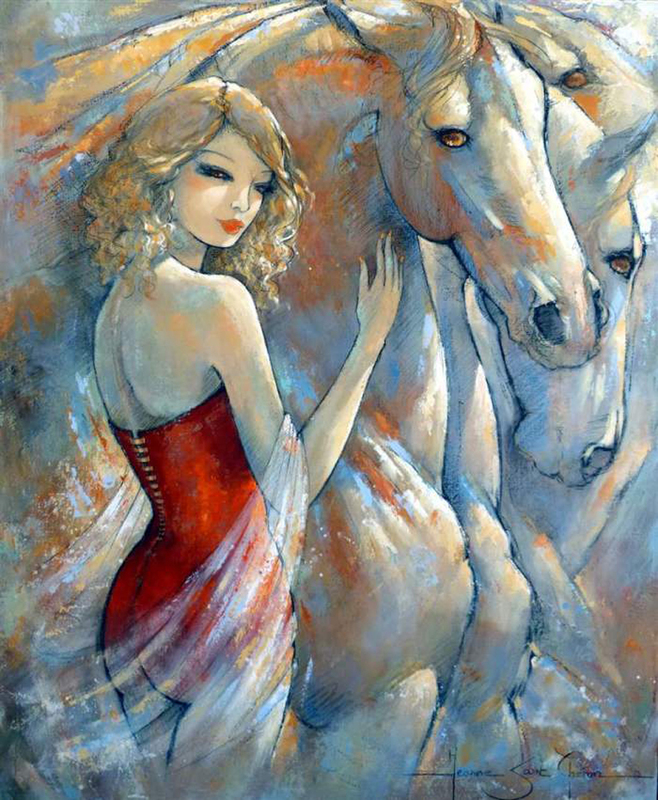 In the beginning of her career, a self taught painter Saint Chéron participates to riding competitions and invests in racing horses breeding. 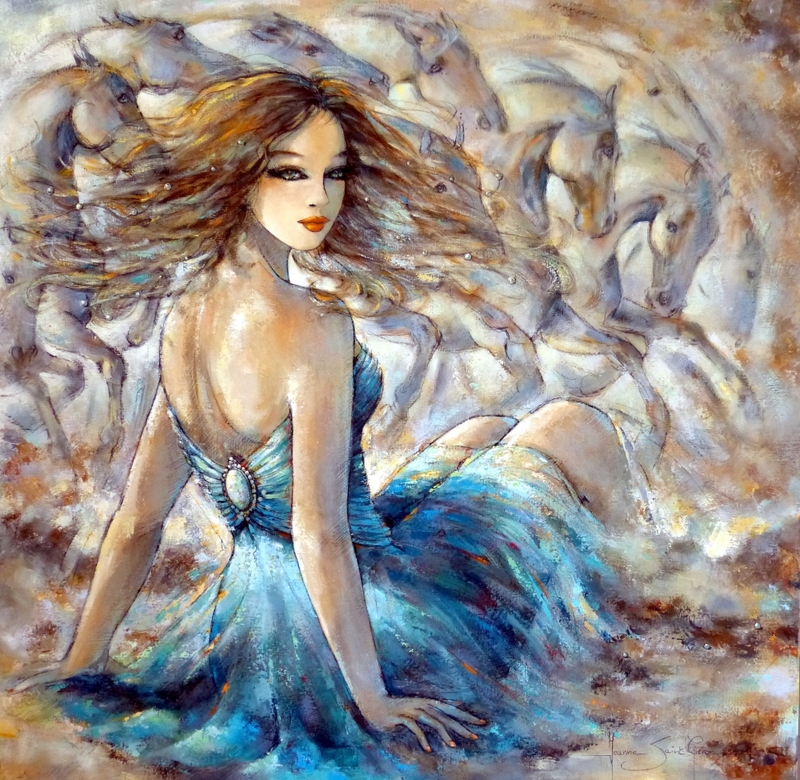 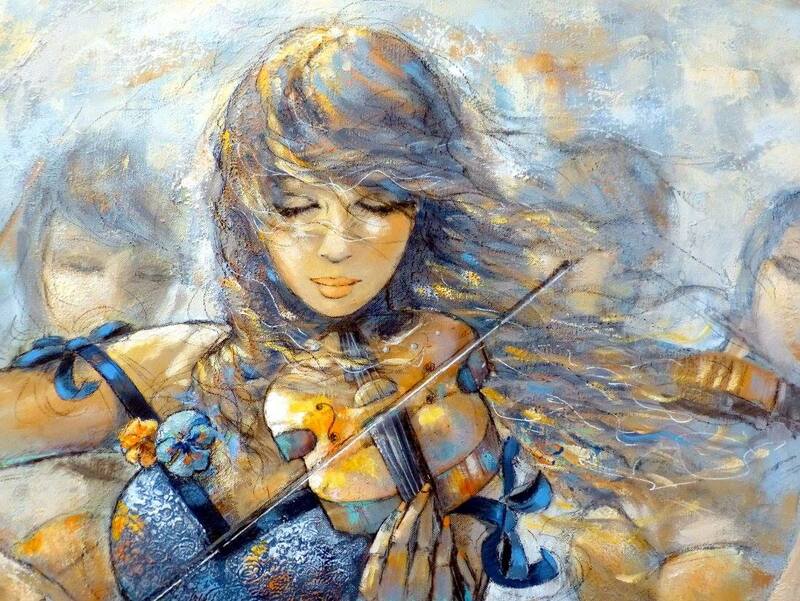 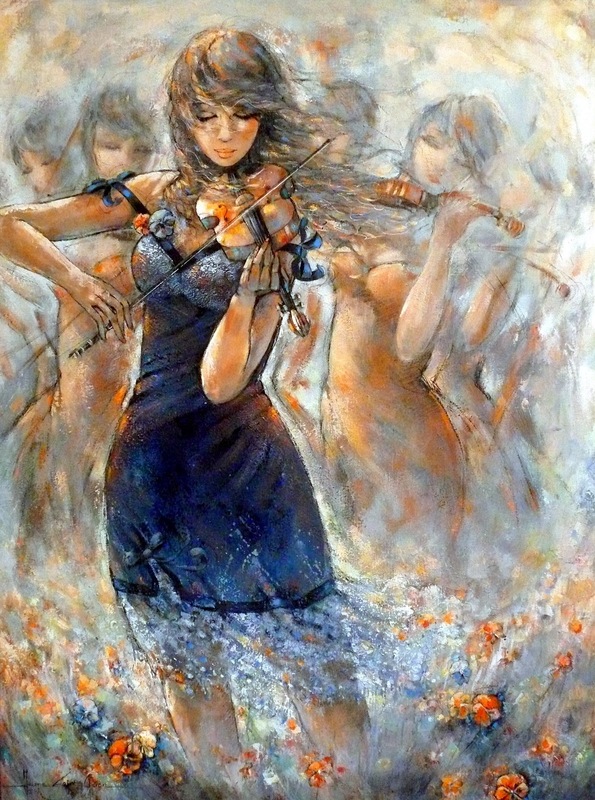 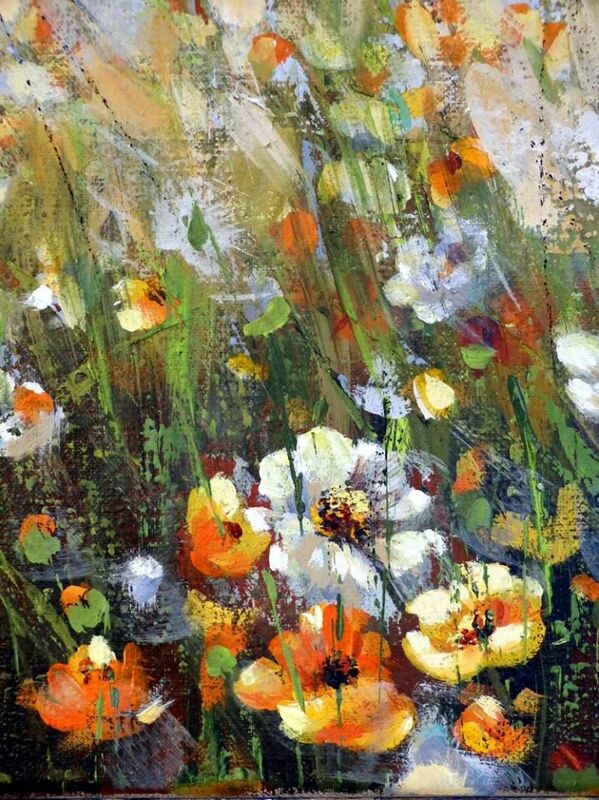 Then she decides to move to Brittany, France, where she teaches drawing and painting for more than ten years. 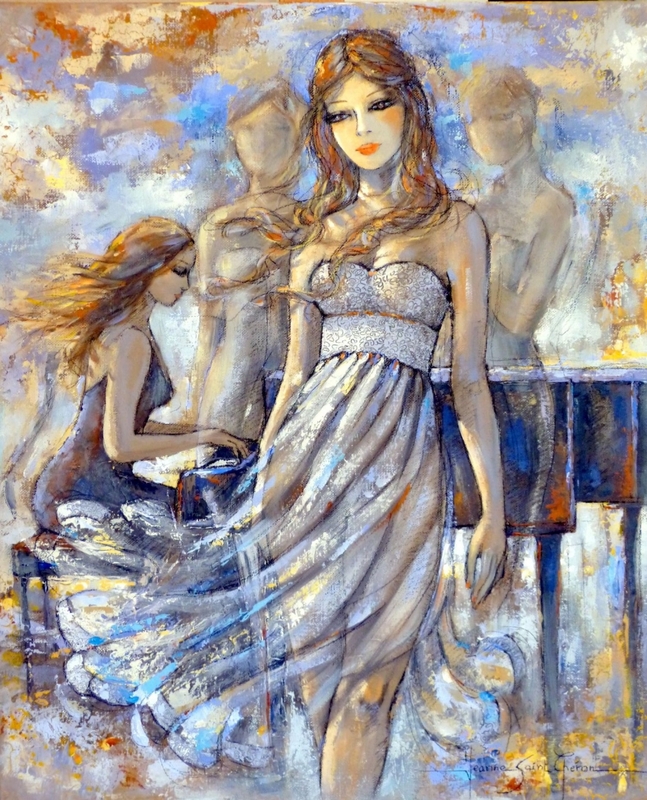 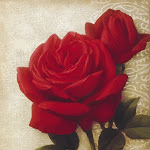 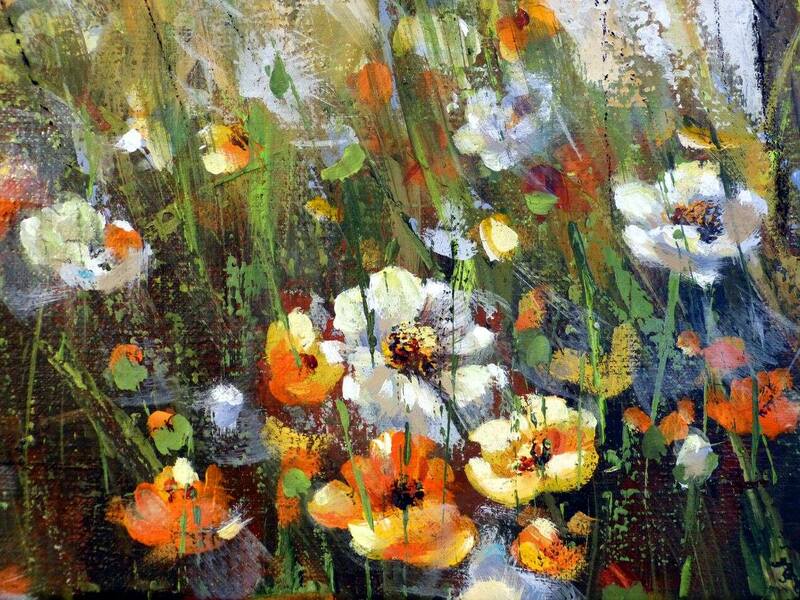 However, her main occupation remains painting and participating to various art exhibitions. 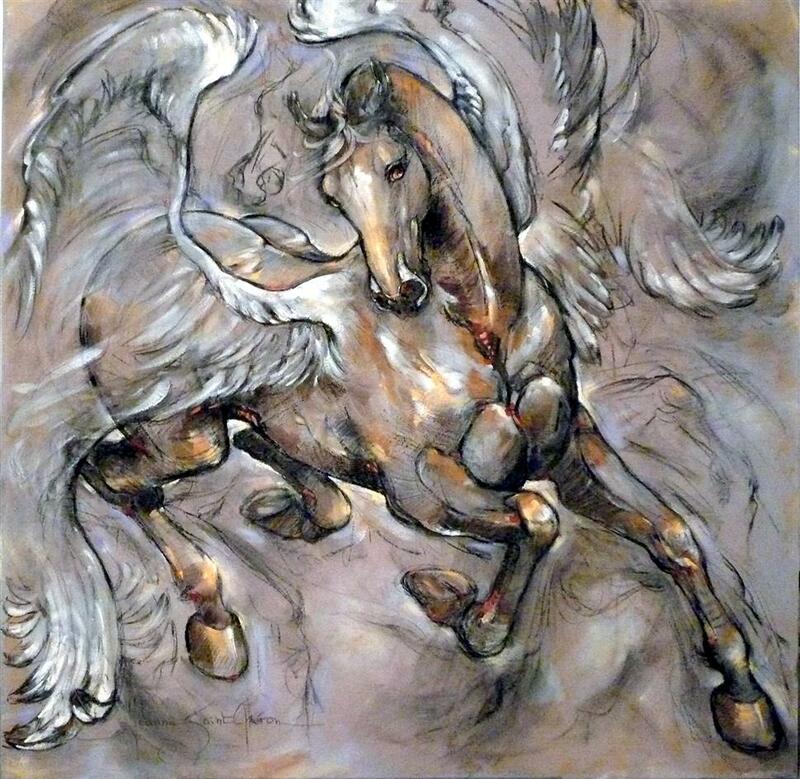 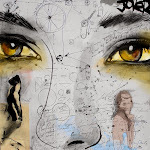 In 2006, Saint Chéron decides to dedicate all of her time to her artwork and suspends her teaching activities, in spite of the fact that more than hundred students participated to her art workshops during the last teaching year. 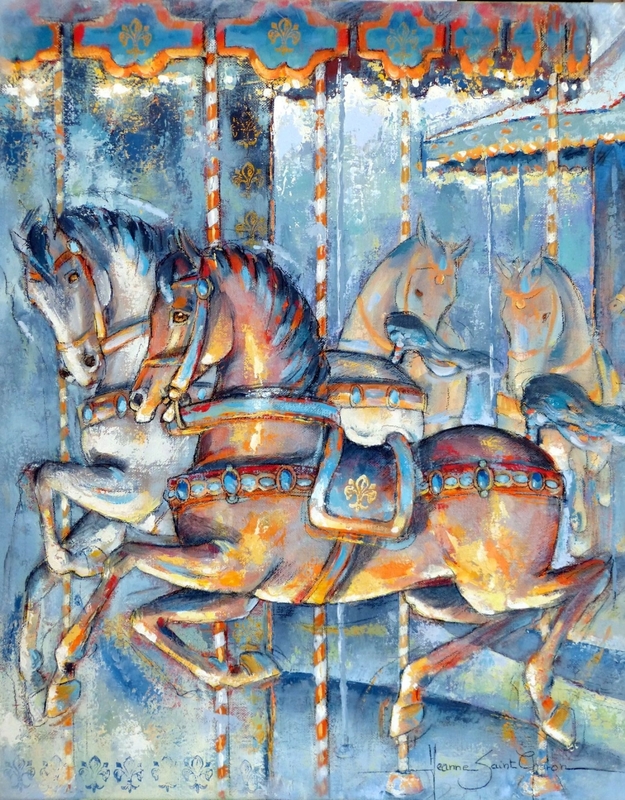 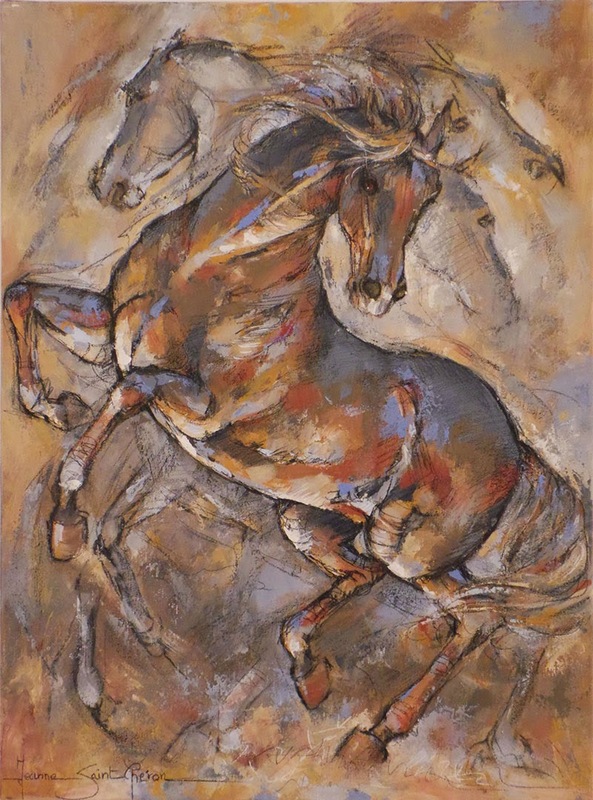 From 1995 onwards, encouraged by several successful exhibitions, national awards and a growing popularity, Saint Chéron decides to make a further step towards her dream: she moves her art studio to Normandy, a beautiful French region which provides all the equine-related inspiration she needs for her creations. 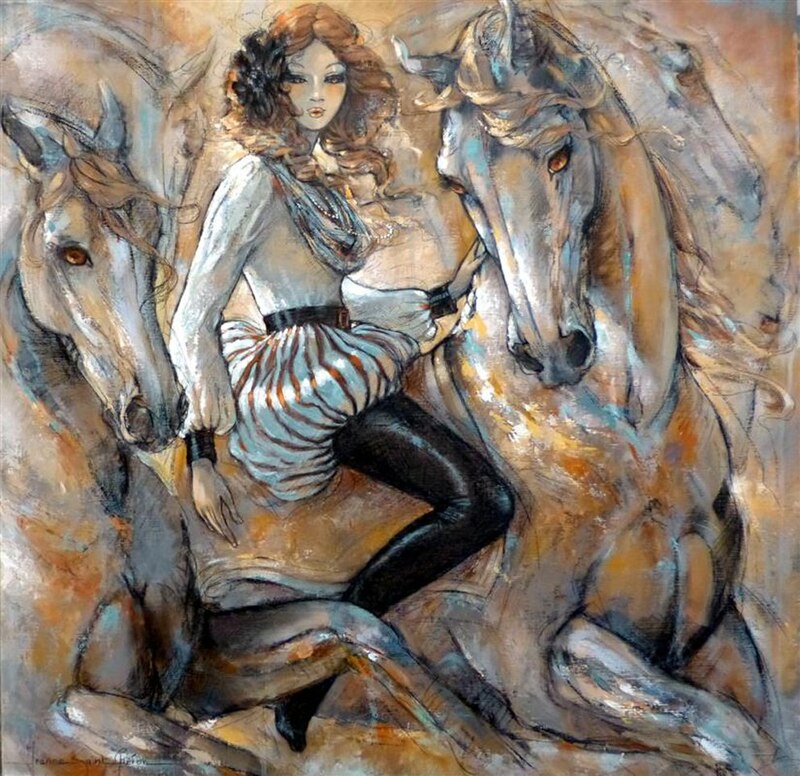 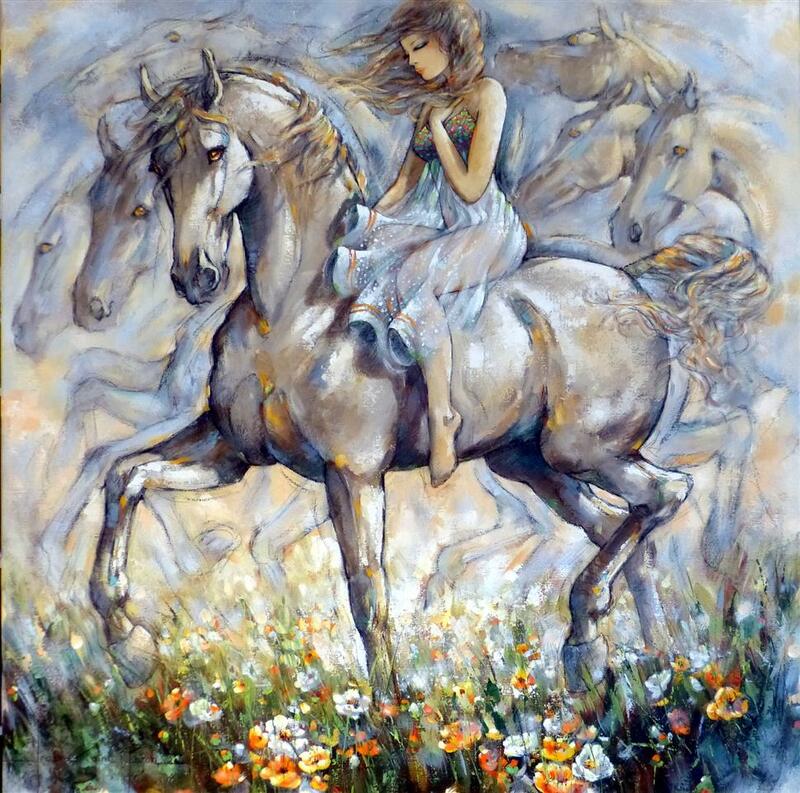 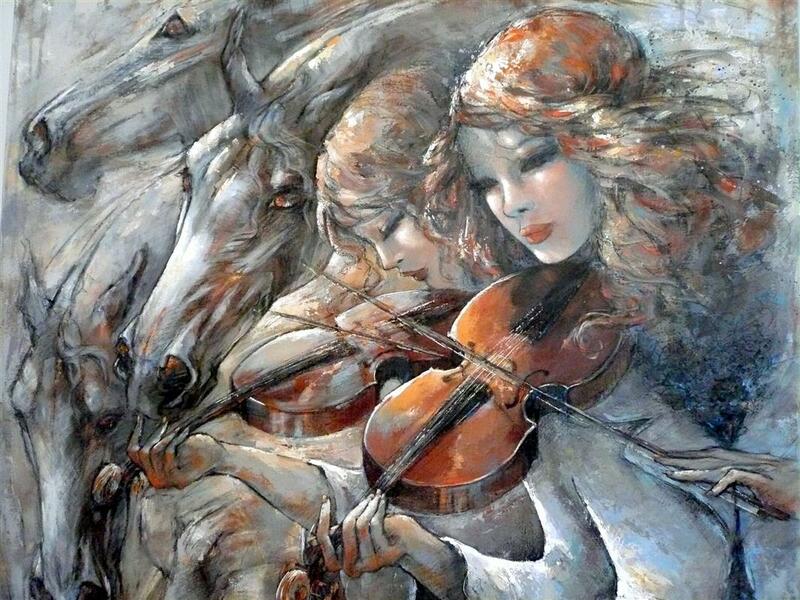 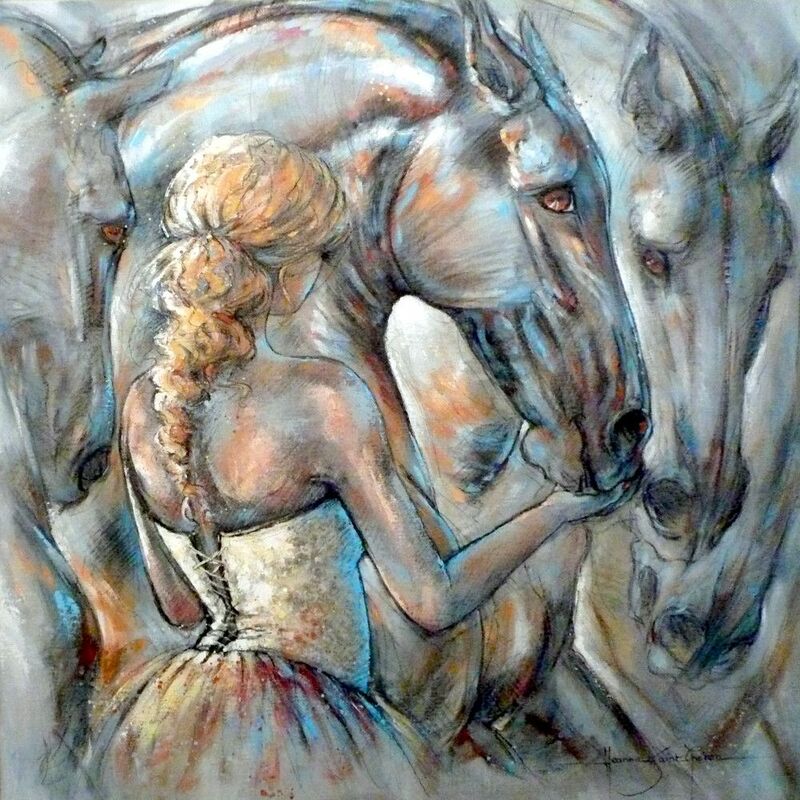 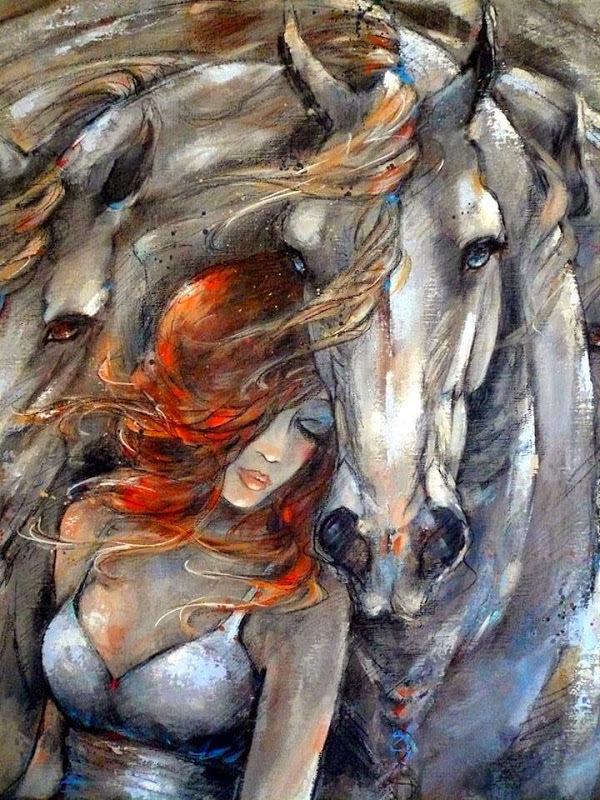 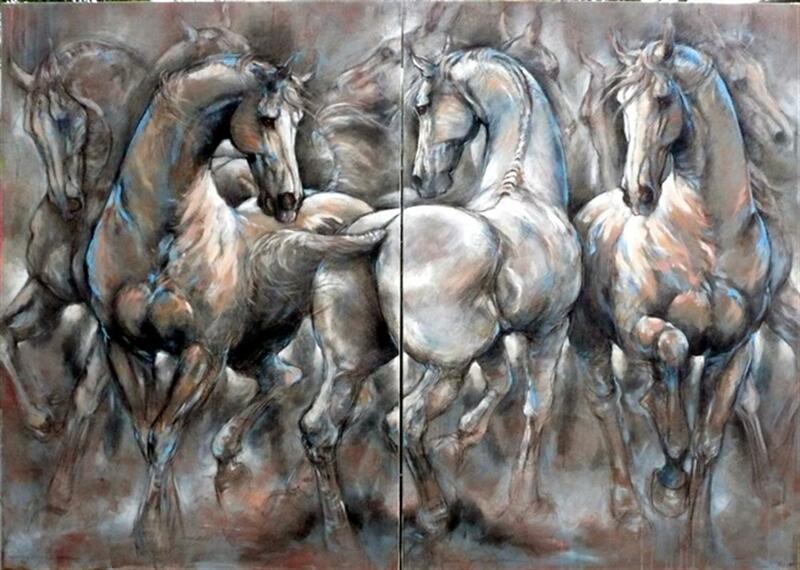 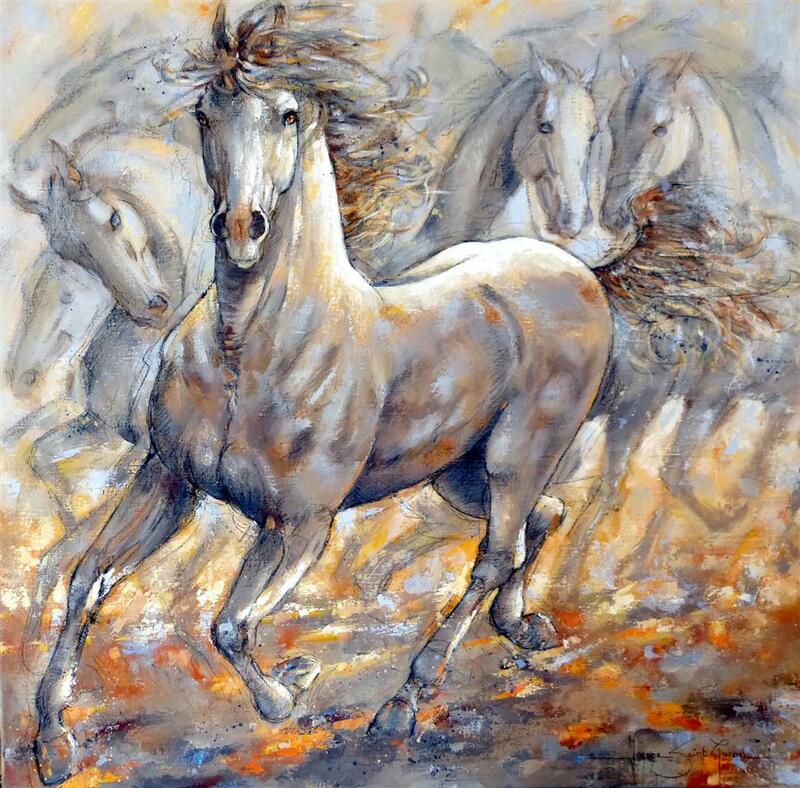 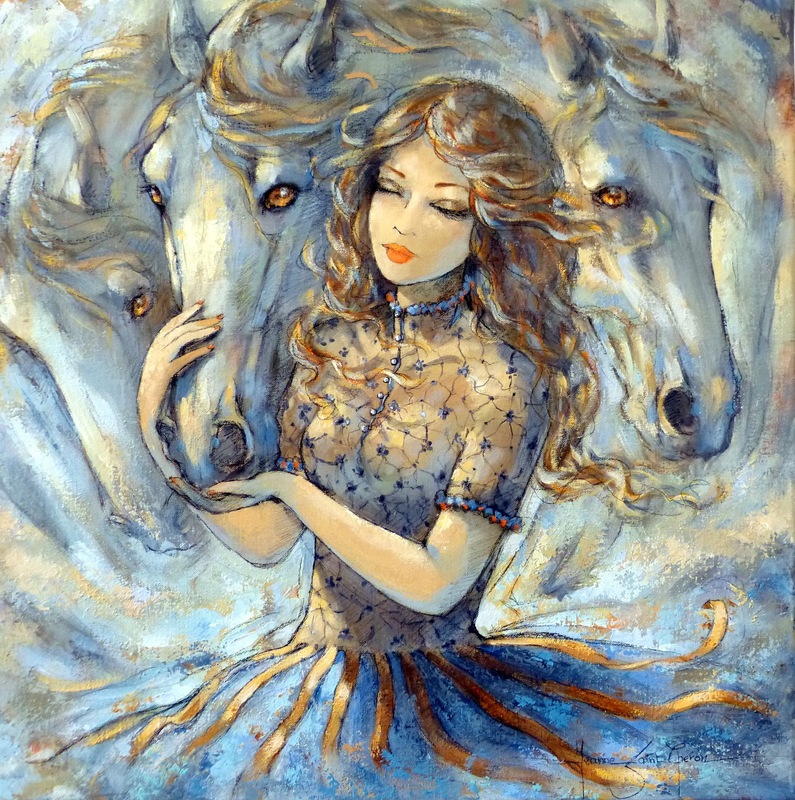 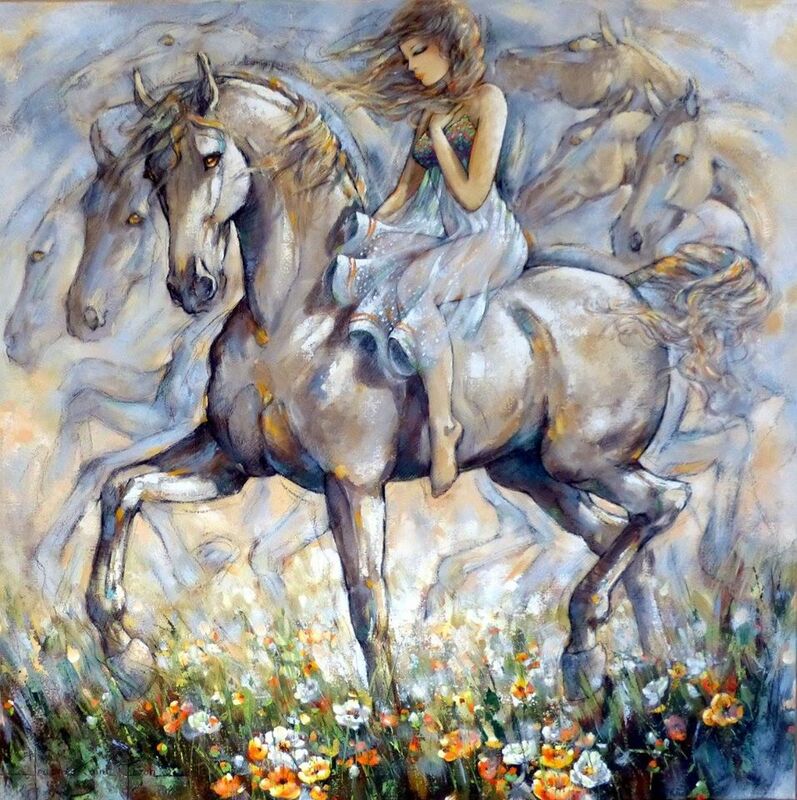 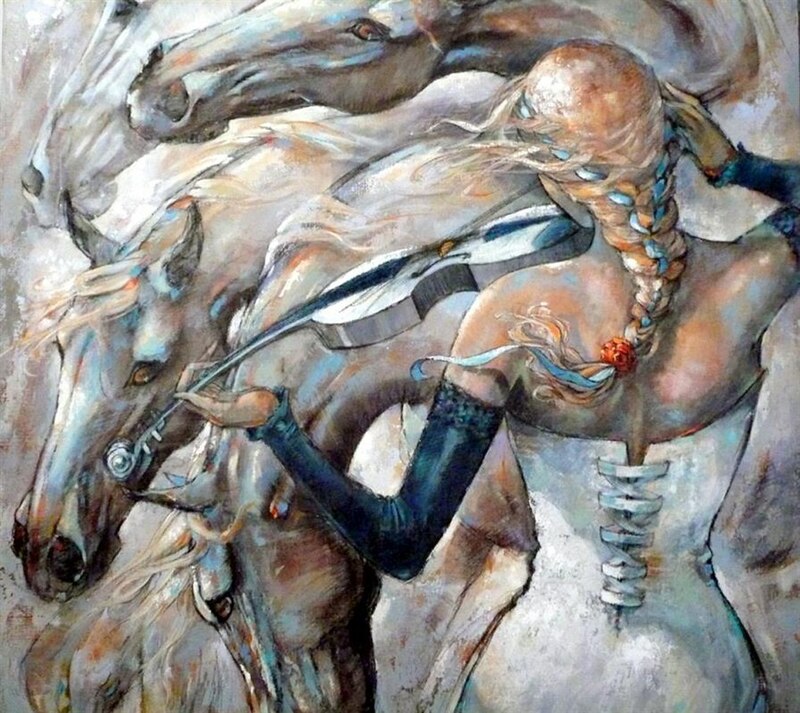 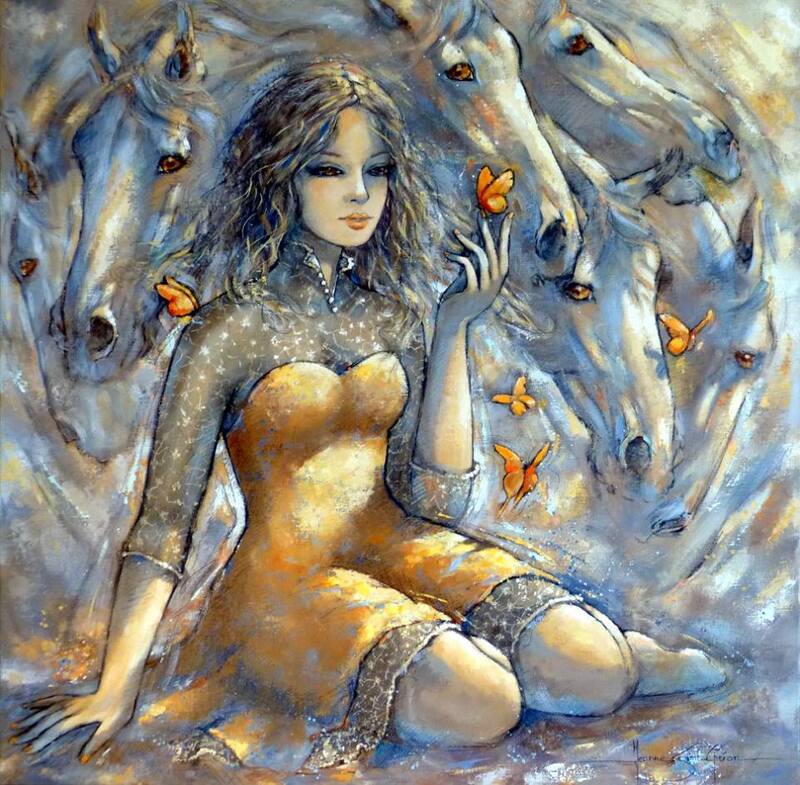 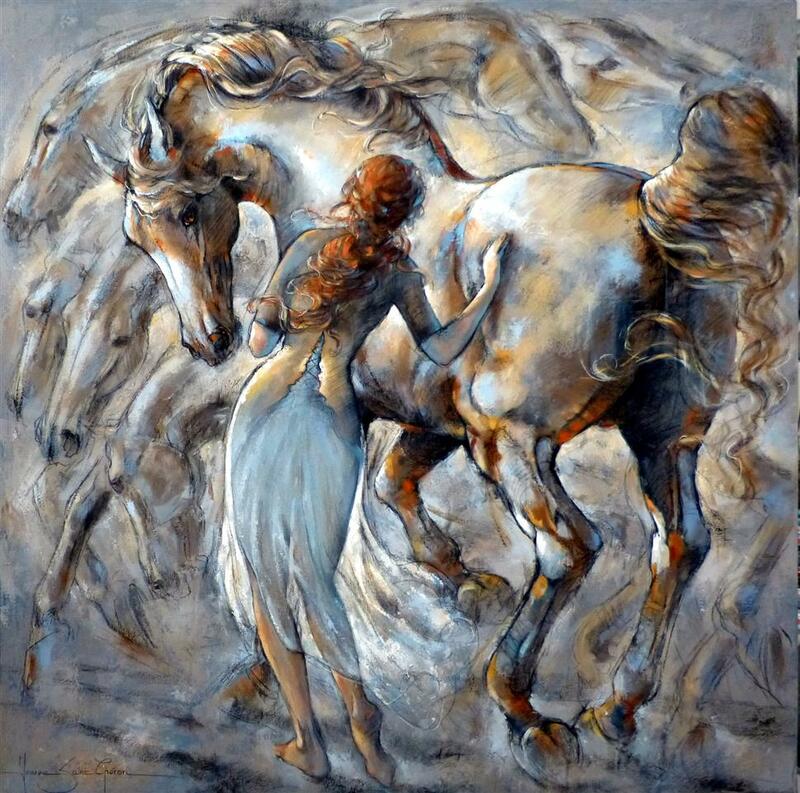 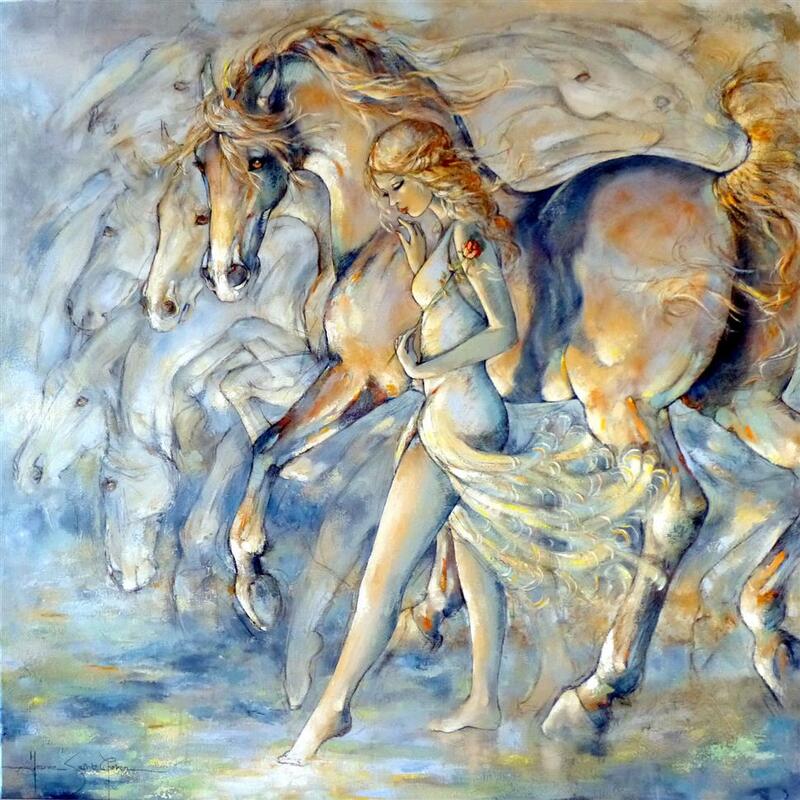 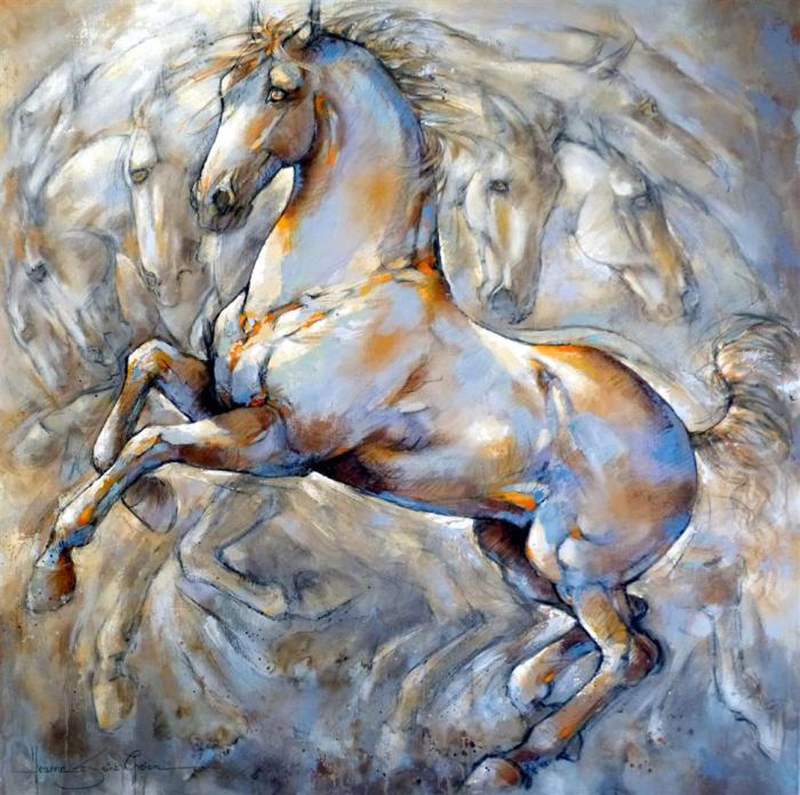 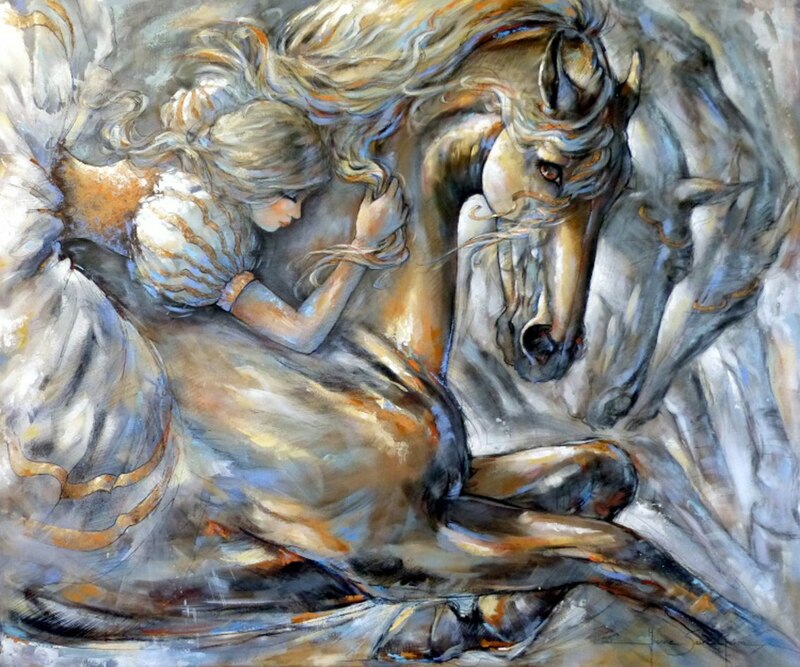 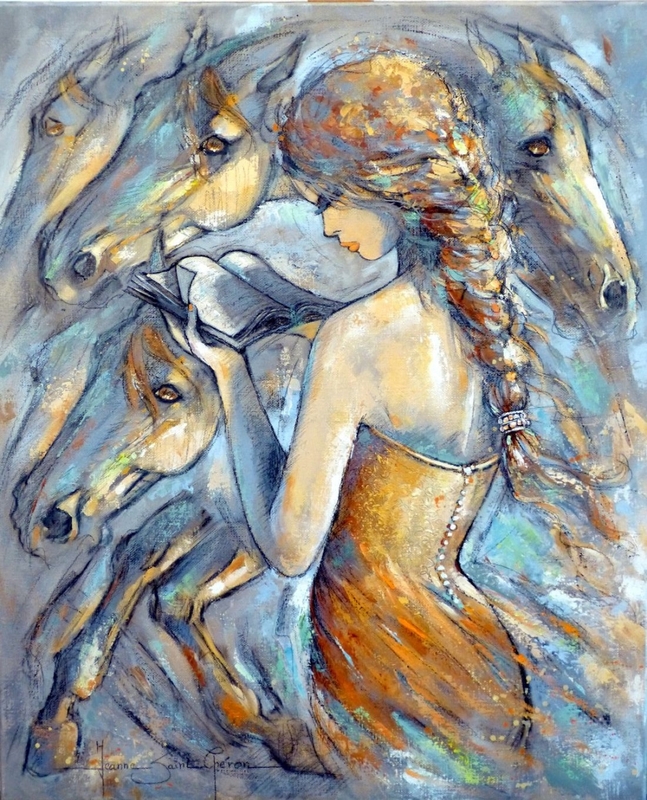 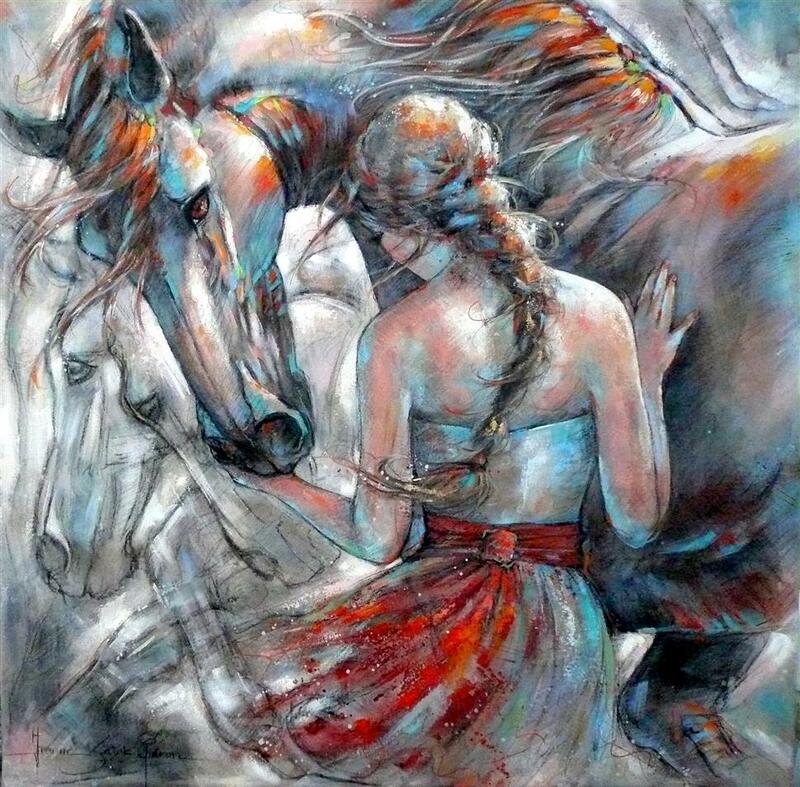 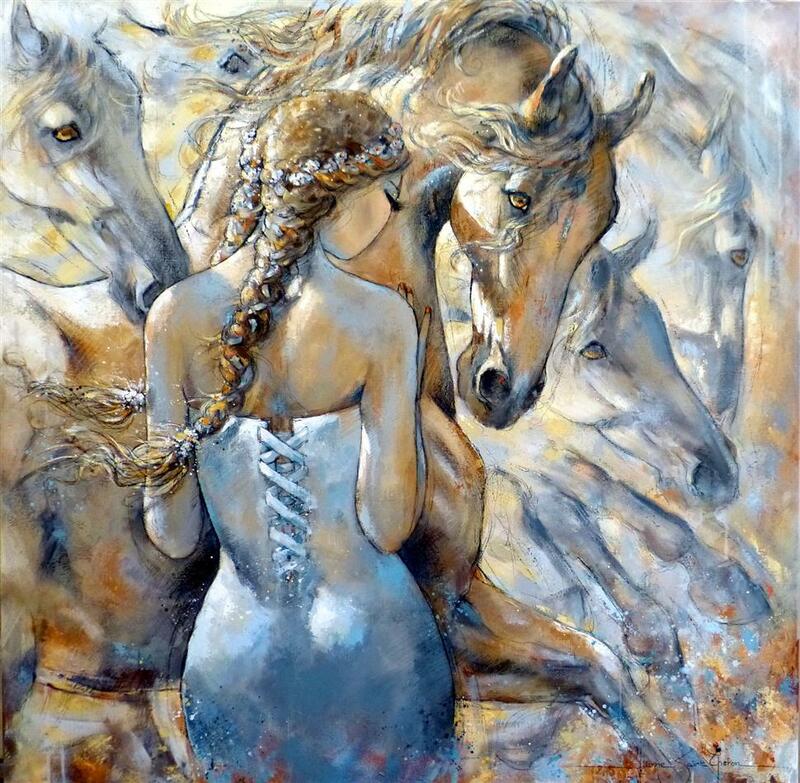 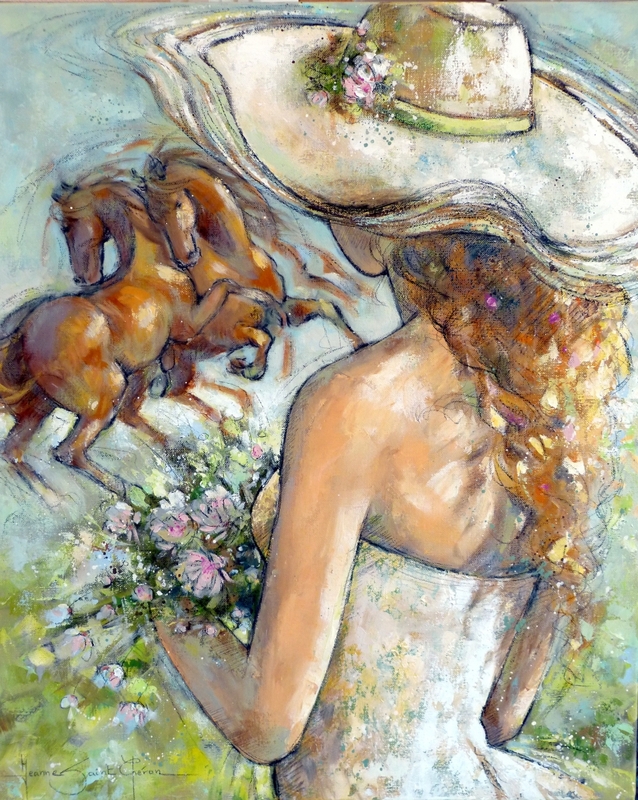 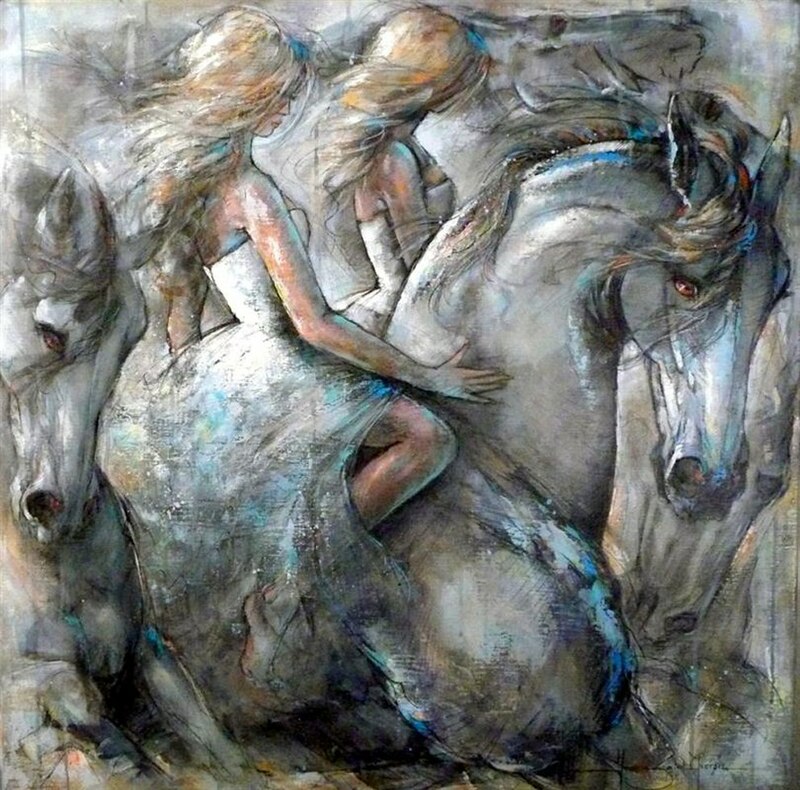 She holds equine art exhibitions in local galleries and participates to a number of regional group exhibitions. 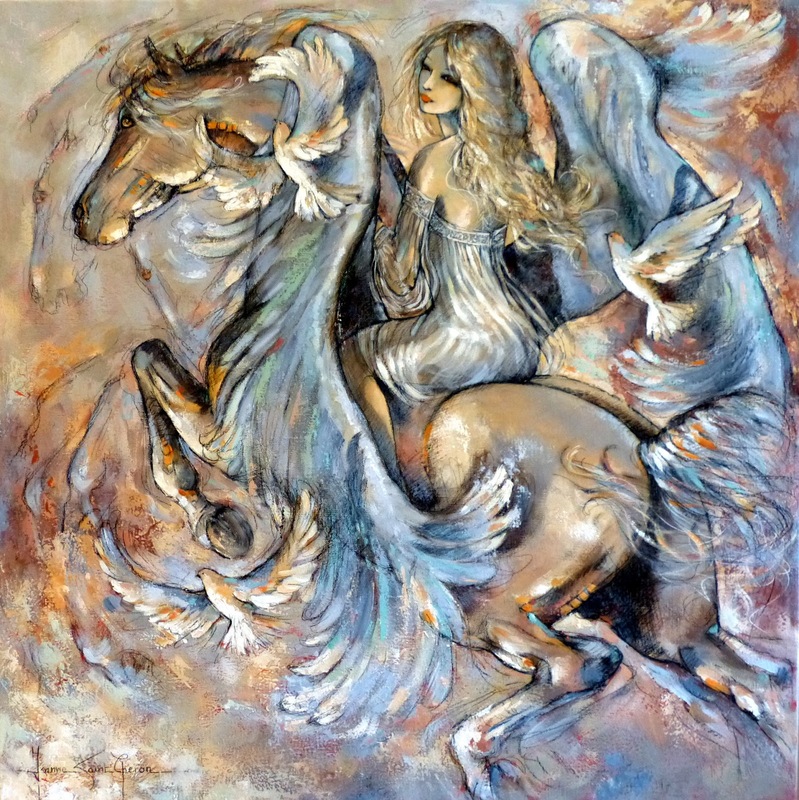 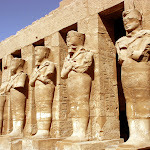 As a result, some of her work is acquired and shown by private collectors abroad. 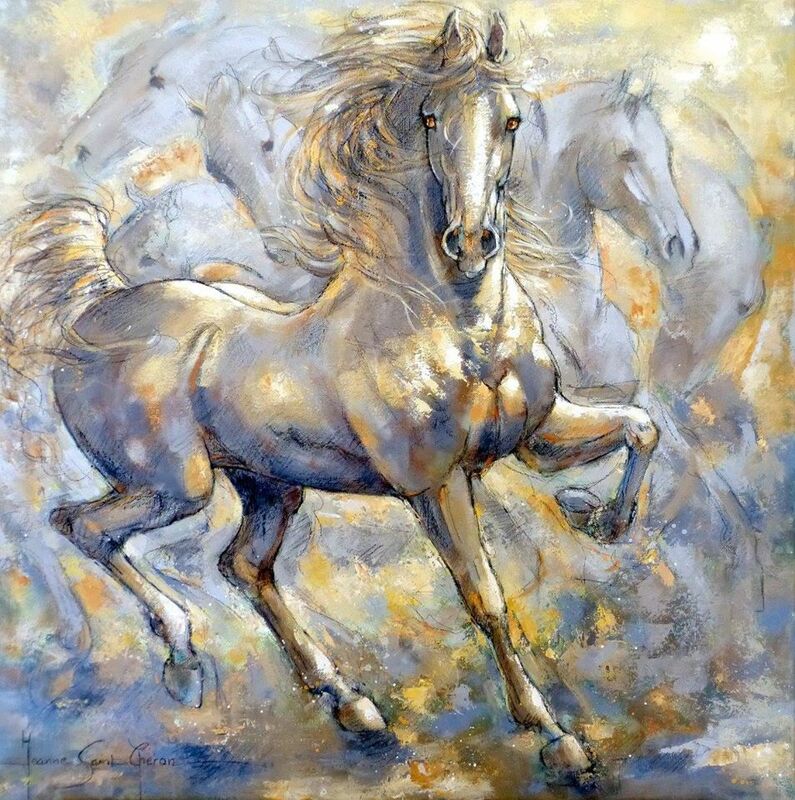 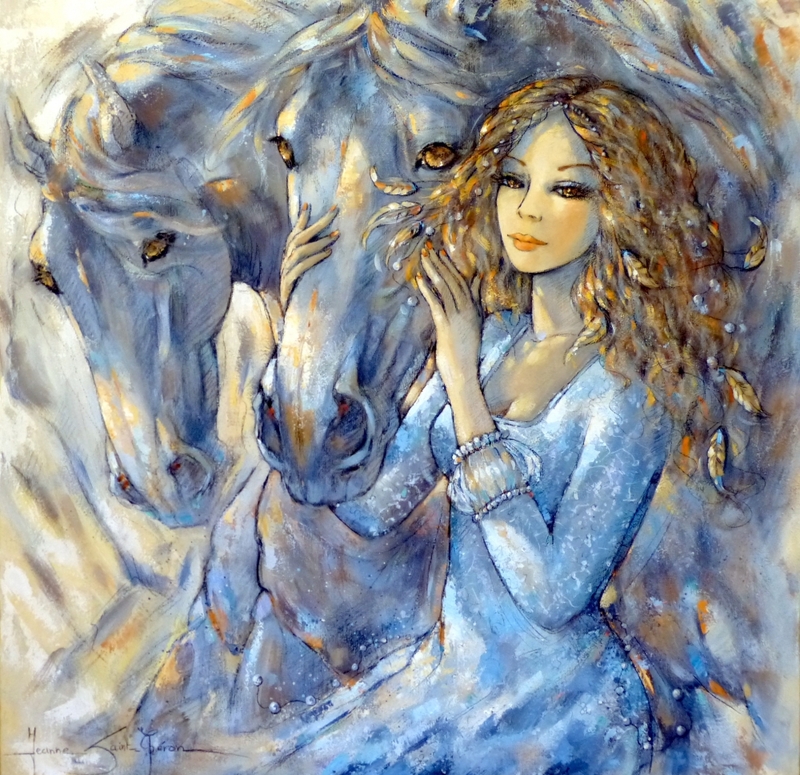 She recently made a permanent agreement with ARCY Gallery in Dubai, which has signed up the exclusive right to present Saint Chéron’s horses in art. 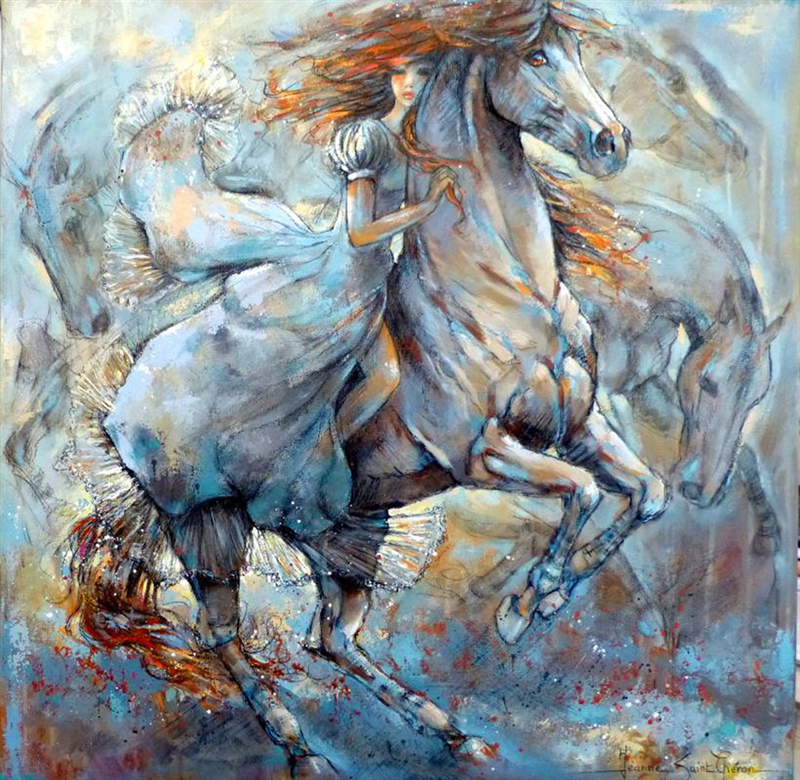 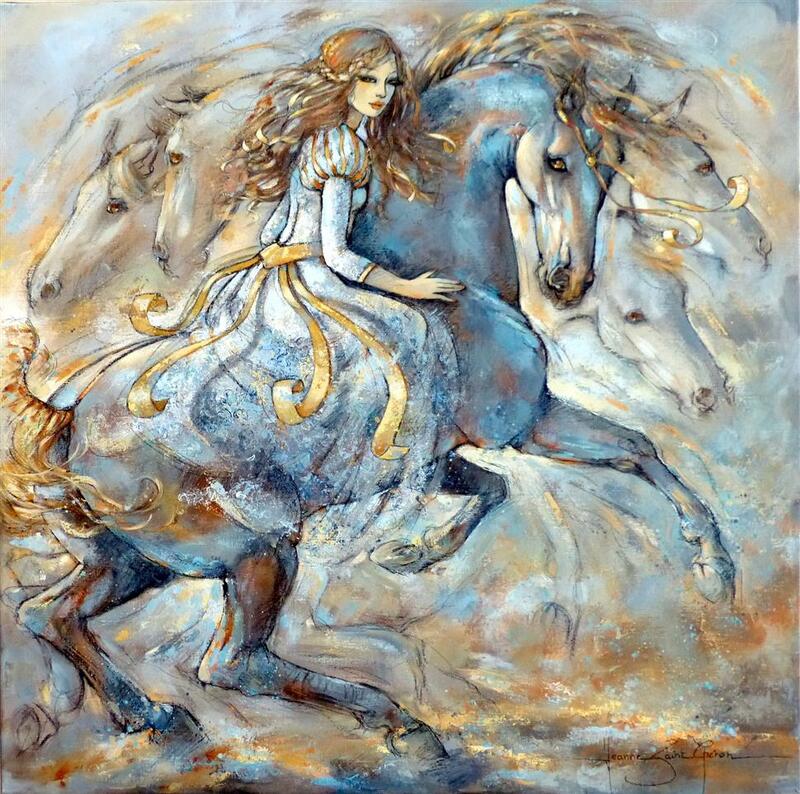 With her graphical and colourful palette, the artist explores and depicts the mythical horse, not because of the animal’s graceful attitudes or apparent submission to the rider, but because of its fiery, its sudden gallops, its unexpected crazes and panic-stricken rear ups. 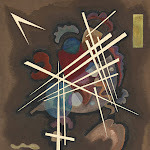 Saint Chéron is a member of the Paris Academy of Arts, Sciences and Letters and a member of the Taylor Foundation. 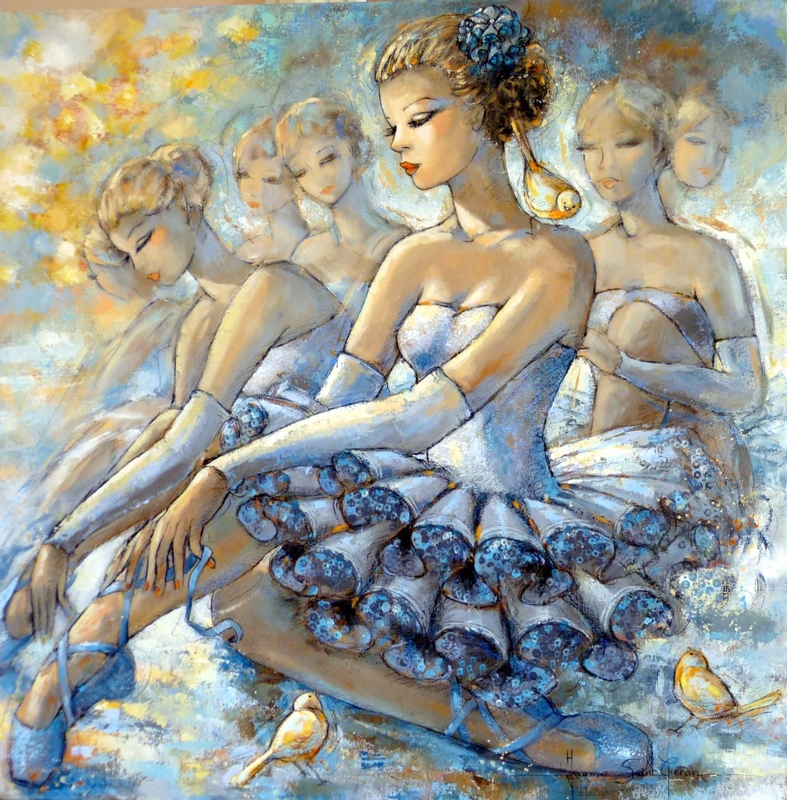 In April 2007, she receives the Silver Award from the French Association of Arts, Sciences and Letters.